She was born a Duchess of Mecklenburg-Schwerin, in the city of Schwerin, Germany. 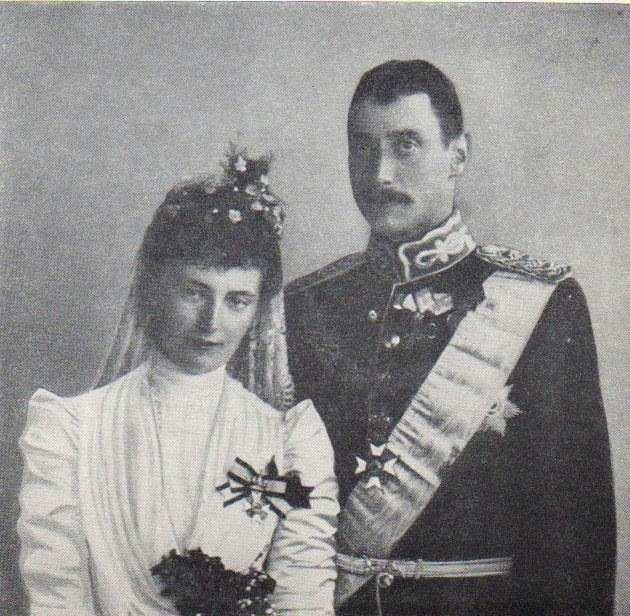 Her father was Frederick Francis III, Grand Duke of Mecklenburg-Schwerin; her mother was Grand Duchess Anastasia Mikhailovna of Russia, a granddaughter of Emperor Nicholas I of Russia. She died in Copenhagen as Dowager Queen of Denmark in 1952 and is interred next to her husband in Roskilde Cathedral. The only brother of Queen Alexandrine was Frederick Francis IV, Grand Duke of Mecklenburg-Schwerin, while her only sister was Duchess Cecilie of Mecklenburg-Schwerin, wife of German Crown Prince William, eldest son of German Emperor William II. In 1902, the couple were given Marselisborg Palace, and the garden was to become one of her greatest interests. Alexandrine became crown princess in 1906 and queen in 1912. She is not considered to have played any political role, but is described as being a loyal support to her spouse. She was interested in music, and acted as the protector of the musical societies Musikforeningen i København and Den danske Richard Wagnerforening. She was known for her needlework, which she sold for charitable purposes. 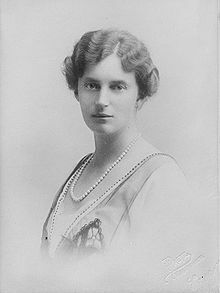 After the death of her mother-in-law Louise of Sweden in 1926, she succeeded her as the official protector of the various charity organisations founded by Louise. She enjoyed golf and photography. During World War I, she founded Dronningens Centralkomité af 1914 ("The Queen's Central Committee of 1914") to the support of poor families. She survived the 1918 flu pandemic. The couple was given great popularity as national symbols during the World War II occupation, which was demonstrated during a tour through the country in 1946. Before the occupation, she and her daughter-in-law were engaged in mobilising the Danish women. Her rejection of General Kaupisch on 9 April 1940 became a symbol for her loyalty toward Denmark before her birth country Germany. 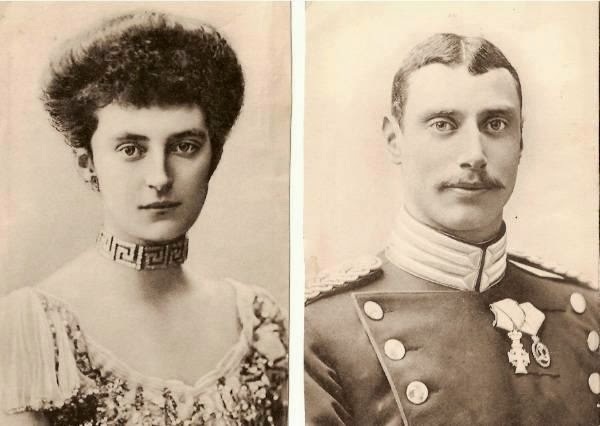 When the General of the occupation forces first asked for an audience with the monarch, Christian was persuaded to receive him by his daughter-in-law as he would any other, which was supported by Alexandrine. He asked to do so alone, but Alexandrine told him she would interrupt them. When the General was about to leave, she came in; and when he greeted her, she said: "General, this is not the circumstance in which I expected to greet a countryman." It was reported, that although Alexandrine was seen as shy and disliked official ceremonies, she had a "sharp" intelligence, and she was, together with her daughter-in-law, Ingrid of Sweden, a true support of the monarch and a driving force for the resistance toward the occupation within the royal house. It was also reported, that in contrast to the monarch himself and the Crown Prince, the Queen and the Crown Princess never lost their calm when the nation was attacked. As she was not the Head of the Royal House, she could show herself in public more than her spouse, who did not wish to show support to the occupation by being seen in public, and she used this to engage in various organisations for social relief to ease the difficulties caused by the occupation. 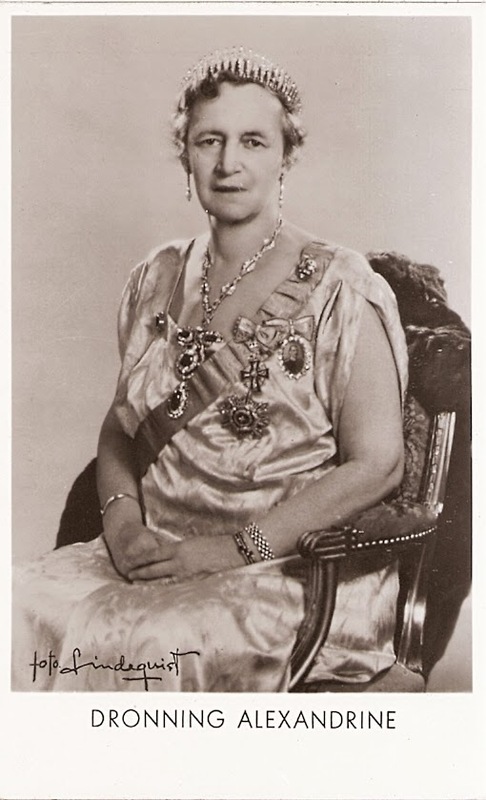 Kaj Munk is quoted to describe the public appreciation of her during World War II with his comment: "Protect our Queen, the only German we would like to keep!" 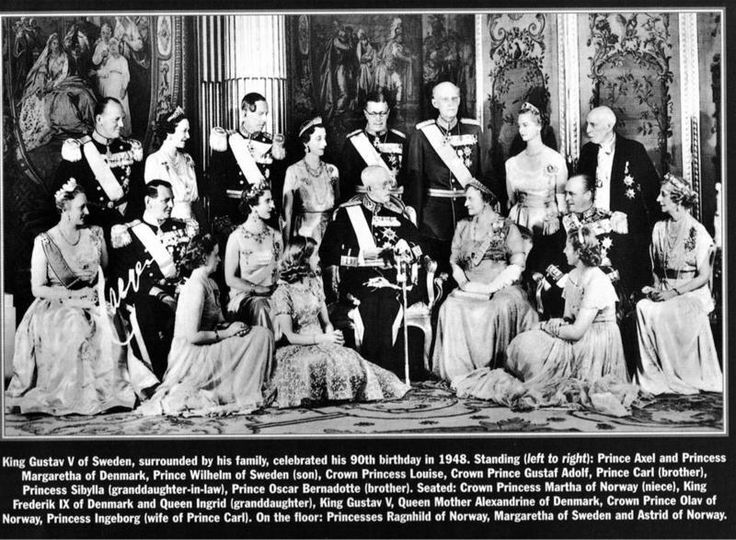 In 1947, she was widowed; she became the first queen dowager of Denmark to opt not to use that title. ^ a b c Börge Outze & Aage Svendstorp (in Swedish): 5 år i bojor. Danmark under ockupationen 1940–1945 (5 years in chains. Denmark during the occupation) Aktiebolaget boktryck (1945) Hälsingborg. Wikimedia Commons has media related to Alexandrine of Mecklenburg-Schwerin.